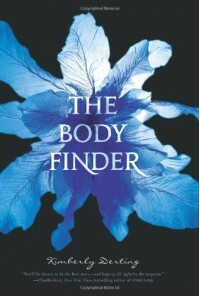 I'm not sure why I waited so long to read The Body Finder, when I've heard some great things about the book. This concept was perfect for a Halloween read. It was interesting to get to reside in the head of a serial killer. It was also nice to see love develop between two people who had been friends for a long time, instead of having another insta-love story.The book was more on the girly side with the ultra-swoony romance but had a creepier angle to it as well, which I didn't expect, upping the cool factor with me.